There are a number of items only available through the Dittrick’s online store, including books and posters from the collection. See below for item details, pricing, and ordering instructions. Medical museums continue to fascinate and disturb. A unique collaboration of curators and scholars provides unrivalled access to international collections of preserved human and animal bodies, and instruments used in the pursuit of well being. The Dittrick Museum is included in this anthology in Chief Curator James Edmonson’s chapter entitled “The Dittrick: from doctors museum to medical history center”. This bold, eclectic anthology features many previously unpublished images and untold histories, opening up new perspectives on the past, present and future of medical museums. For the curious, medical museums are among the most intriguing places in existence. This book introduces a range of fascinating collections from across the globe, demonstrating the wide diversity of their holdings. The book reveals how medical history impacts everyone alive, and how very lively are the concerns of the dead. In the 19th and early 20th century, a culture of secrecy surrounded human dissection in medical education. Students could be expelled for divulging the source or the identities of “subjects,” while anatomy professors, demonstrators, and janitors were to guard the dissection room’s secrets-which makes it all the more striking how often medical students documented and commemorated this rite of passage. At the same time that student dissectors were admonished to shield the secrets of the dissecting room, they frequently invited in the eye of the camera to pose with “their” cadavers. For nearly the next half century, through the 1920s, the dissection photo would become one of the most archetypal and ubiquitous forms of medical student portraiture before 1930, yet it vanished almost completely after 1950. These photographs were made in a surprising variety of forms: class portraits, cartes de visite and postcards, and staged dark humor scenes. 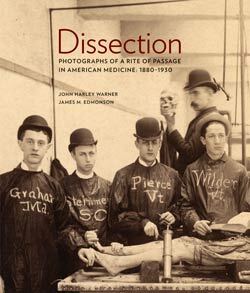 Complete with illuminating essays by two experts on the subject, Dissection features 138 extraordinary, rare historic photographs of the unseen world of the rite of passage into the mysteries of medicine. 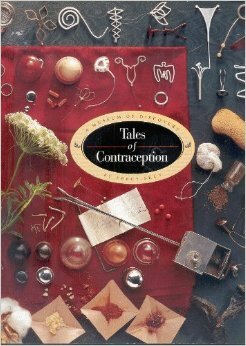 The Percy Skuy collection includes a wide range of contraception items, prototypes, and manufacturing devices. The Dittrick maintains a collection of literature on the topic, including primary source material as well as historical writings.This book, written by Percy Skuy, details the history of IUCDs. All posters are approximately 17 X 25 inches. You will use a single order form for these posters and also for the Tales of Contraception Book, listed above.